There's something special about trucks that makes us feel somewhat jealous every time we find any on the road. If you ever felt the secret desire of becoming a truck driver, now it's your chance: play Mad Truckers and make your dream come true! 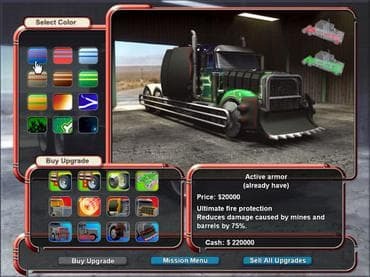 This simple game will let you take the wheel of a large truck and go along the road completing every mission you're requested to. There's a total of 15 missions in which you'll have to deliver all kinds of goods to their correspondent destination. Download free full version game and start your driver life! If you have questions about Mad Truckers game, please contact us using this form.